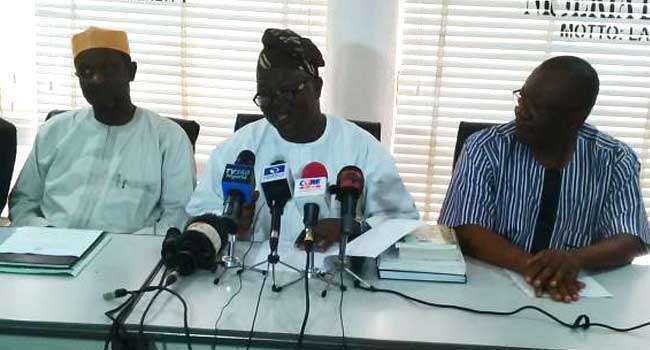 The Academic Staff Union of Universities (ASUU) yesterday gave an insight into its expectations from the federal government at today’s meeting before it would consider calling off the protracted national strike. Among others, the union said that the government must show concrete evidence of the payment of at least N50 billion revitalisation fund to its negotiating team. The government must also show proof of the payment of the promised N20 billion earned academic allowances and how the balance of N85 billion would be paid with timelines, the union said. ASUU president, Professor Biodun Ogunyemi, stated this yesterday in Ibadan during an interaction with newsmen. He said that the union had lost confidence in government’s promises because they were never fulfilled after agreements were reached. According to him, while ASUU had rejected government’s proposal of N20 billion (which is to be paid in two tranches) for the revitalisation of universities, the union wants the government to mainstream the earned academic allowances into the 2019 budget which is still being worked on by the National Assembly. Ogunyemi said: “We want them to pay immediately N50 billion as a sign of commitment this quarter and for the next three quarters government can pay N50 billion in each quarter. So our members have rejected the N20billion proposed by them that will be spread over two quarters in 2019. “Our members have insisted on the release of at least N50billion. In relation to earned academic allowances which they have an outstanding N105billion, our members are saying that even if you (government) are releasing N20billion let it be stated clearly that it is only for ASUU members and the balance which you promised to pay in four instalments, attach timelines to the balance and figures. “In 2017, this government promised to mainstream the earned academic allowances into the budget so that we won’t be coming to talk about arrears. If government had put that into the 2018 budget we would not be talking about arrears now. “Our members are saying that government should take steps to mainstream it into the 2019 budget and that is not late because they (National Assembly and executive) are still working on the budget,” he said. The Academic Staff Union of Universities (ASUU) yesterday gave an insight into its expectations from the federal government at today’s meeting before it would consider calling off the protracted national strike. Among others, the union said that the government must show concrete evidence of the payment of at least N50 billion revitalisation fund to its negotiating team. The government must also show proof of the payment of the promised N20 billion earned academic allowances and how the balance of N85 billion would be paid with timelines, the union said.